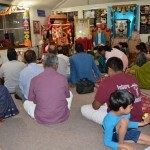 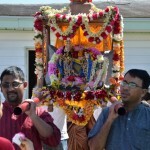 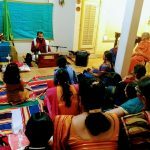 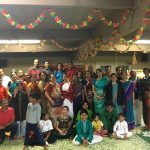 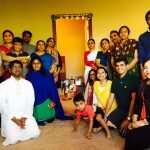 Srimad Ramayana Navaham was celebrated in a grand manner at Houston Namadwaar from March 12th to 20th 2016. 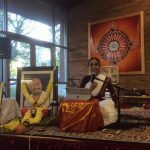 Sri Poornimaji enthralled all the devotees with her beautiful elucidation of Srimad Ramayana.. a story telling like no other! 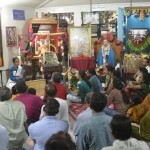 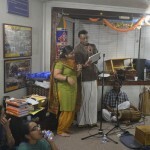 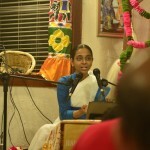 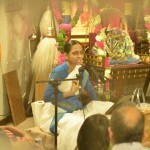 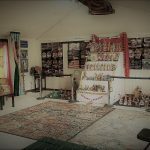 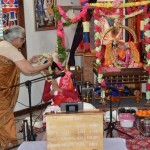 She captivated the devotees with culling references, instances, stories and songs from so many saints, various scriptures, and from all the different Ramayanas – Valmiki, Tulsidas, Kamban, Thyagaraja Ramayana, Shuka Ramayana, Bhoja Champu, Raghuvamsa and so many other Ramayanas that one may not even heard of before. 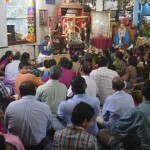 Tulsidas Ramayana parayanam was done daily before the lecture. 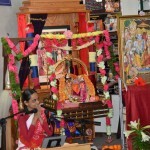 She beautifully brought out the essence and nuances of the wonderful stories that one may know only summarily and gave deep insights into the philosophy and Dharma behind many of the incidents and occurrences in Ramayana and helping everyone to learn practical lessons for everyday life. 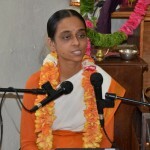 Sri Poornimaji portrayed Rama in a completely new light; flowering a fresh love and regard for this great Avatara who endured so much simply for the sake of mankind. 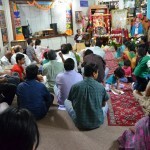 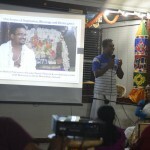 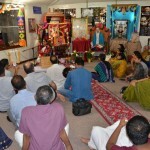 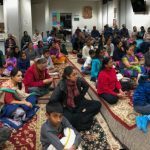 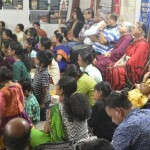 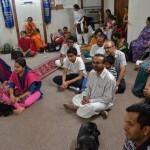 Over 60-70 people attended Katha daily, and over 120 attended on Sundarakandam day. 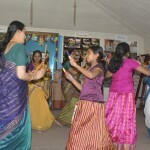 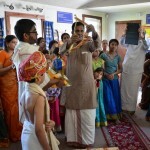 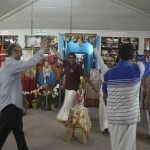 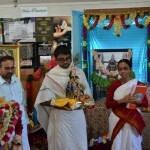 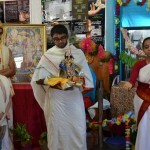 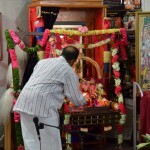 Seetha Kalyanam was celebrated grandly at Namadwaar on the morning of the final day of the Katha.